According to the announcements, which were made last week, National aluminum and also Hindalco industries, improved to a higher extend, after the rise in Alcoa, exciting the investors. The most important reason behind such a sudden improvement is realizations. 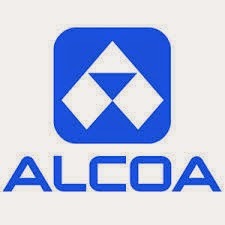 The realization of Alcoa, that the price of aluminum rose in the month of June, with a 10.8 percent increase due to the rise in the price of aluminum in the London Metal Exchange, and due to the hike in the region. These are the premiums which are paid by the customers in order to have the metal delivered faster. Along with happy moments, the rise promoted by Alcoa, there is also Cautionary note tagged along. For one whole year, the company has maintained its aluminum protection demand at about 7 percent. So this force one to think that, if china who contributes about 48 percent of the consumption, decides to decline its rate of consumption as a part of the country’s creeping economy rate. From this realization another risk is also developing, that as the price rises, the closed smerlter4s which had to halt due to the lowering value of the metal would suddenly start reappearing. The report states that, this procedure has already started taking its turn in China.